Fast Icon offers quality stock icons for developers and web designers. Icons, toolbar images, splash screens and logos for software developers. Common toolbar icon set available for free download, stock icons for secure online purchase, custom work available. Makes XP icons for commercial manufacturers. Ideal for software developers, webmasters or user interface designers looking for high quality icons. Offers professional XP style icons with flawless and highly appealing designs at extremely affordable rates. 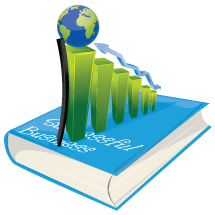 Icon packages include accounting icons, software icons, web application icon. Site provides free high resolution textures and photos for professionals. Supply a large set of eye-caching software-related icons made by professional artists. Specializes in custom software and multimedia solutions ranging from website design and Flash animation to 3D virtual tours and photography. Provides custom Flash demo creation services for software and shareware products. Supply software to enhance your pictures with a single click: make the colors more natural, add vibrancy, contrast, make them sharper, or optimize them for the web or e-mail.